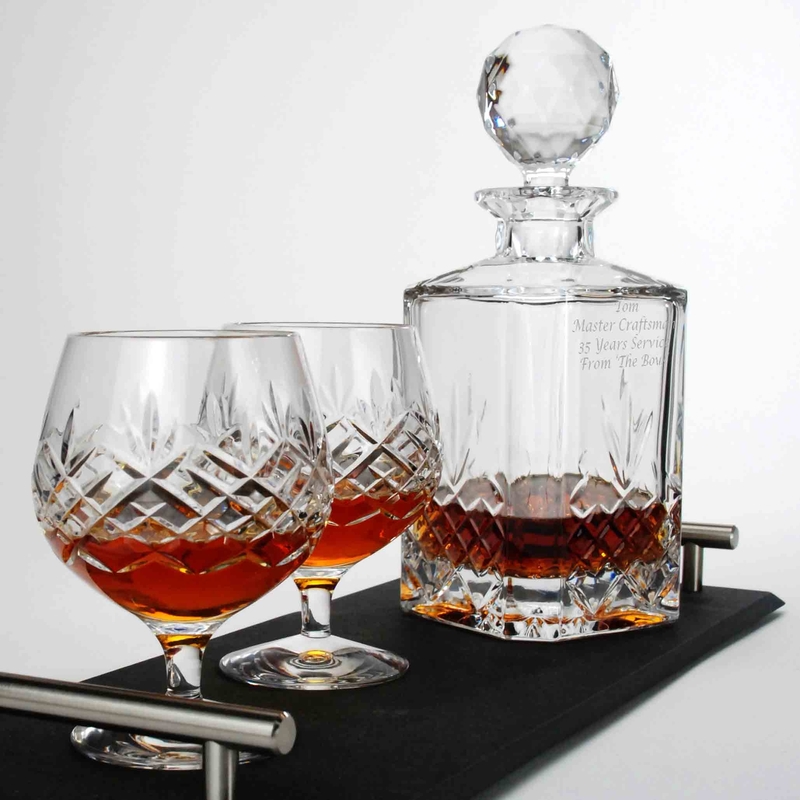 This beautiful round faced lead crystal decanter with oval stopper is perfect for storing whisky, brandy, port and other spirits. 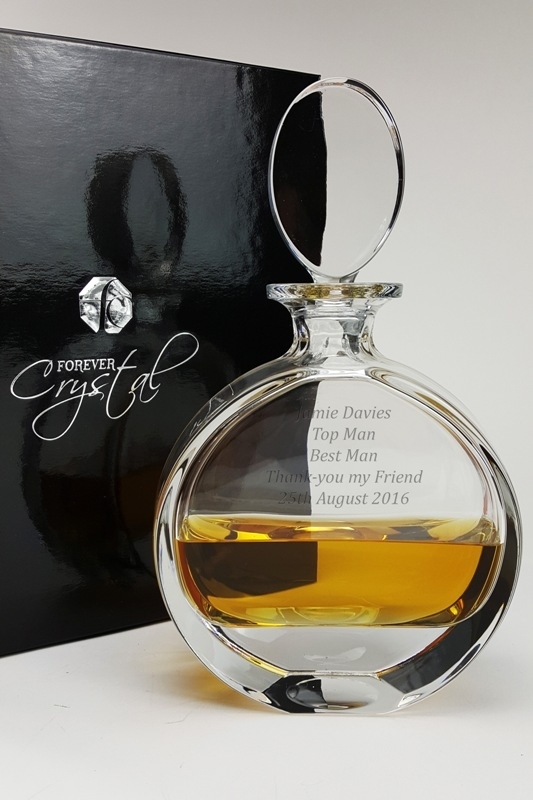 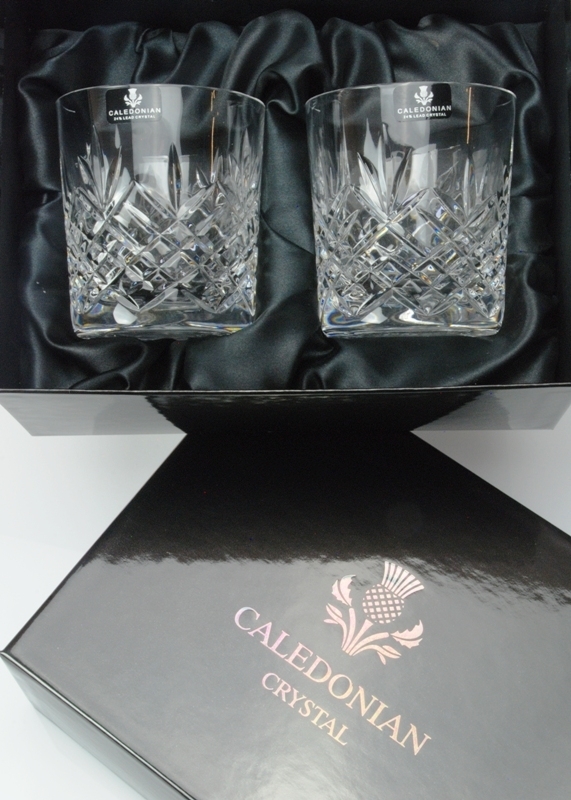 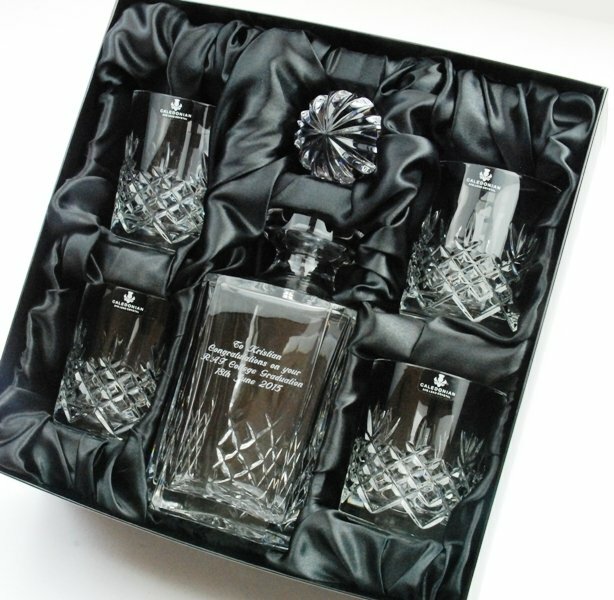 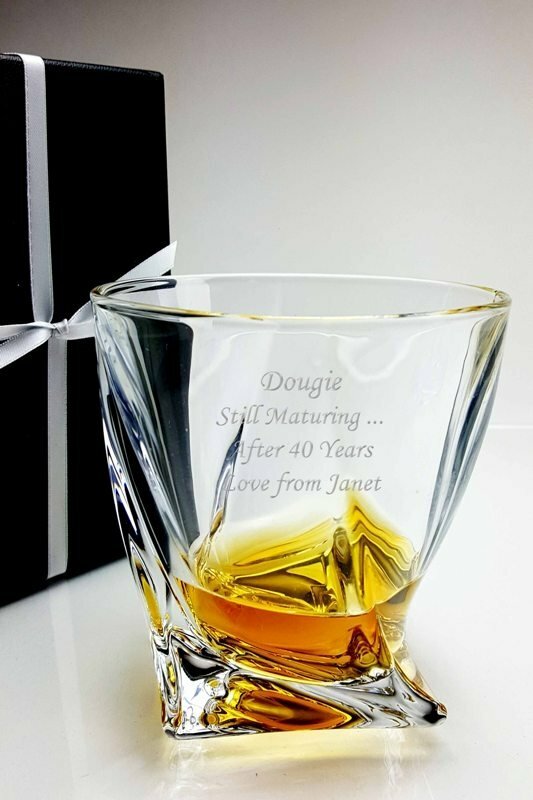 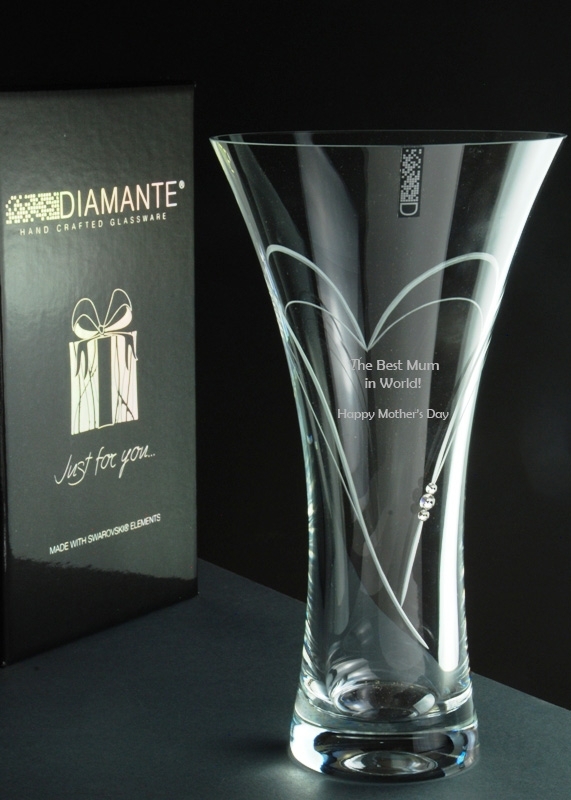 What's more, we will personalise the decanter with a diamond engraved inscription of your choice making the Severn Crystal Decanter a great gift for any occasion. 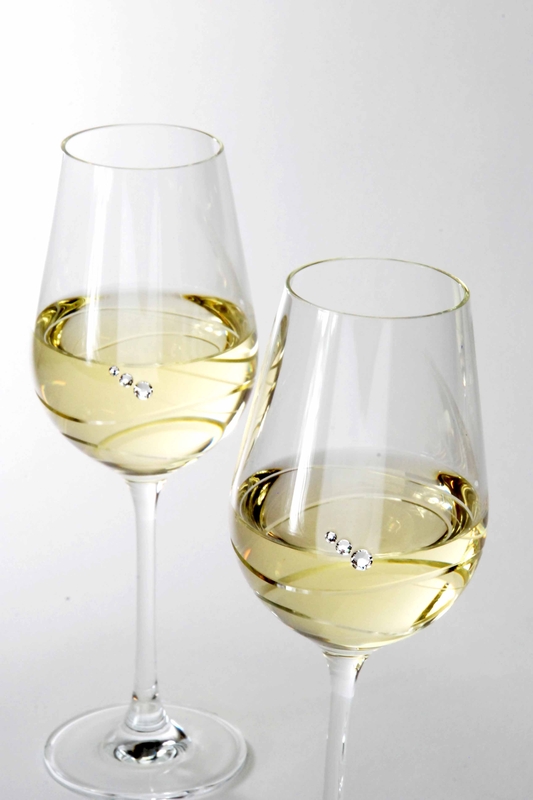 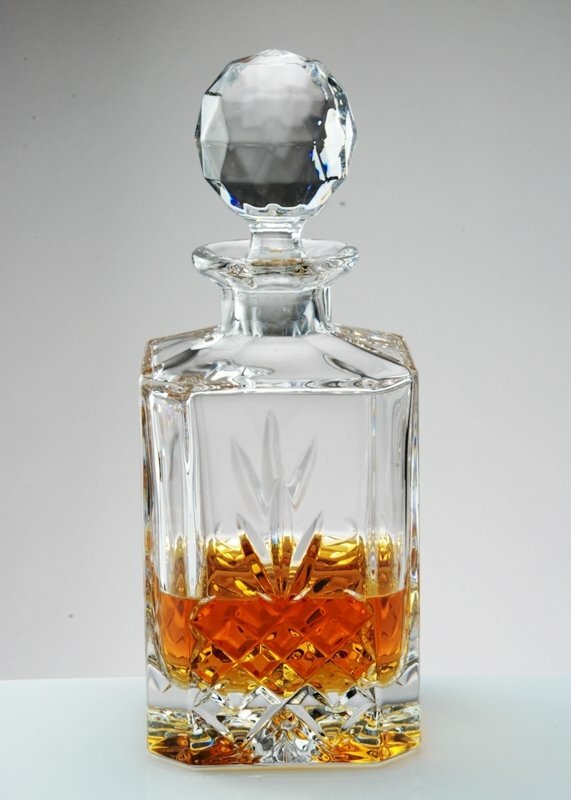 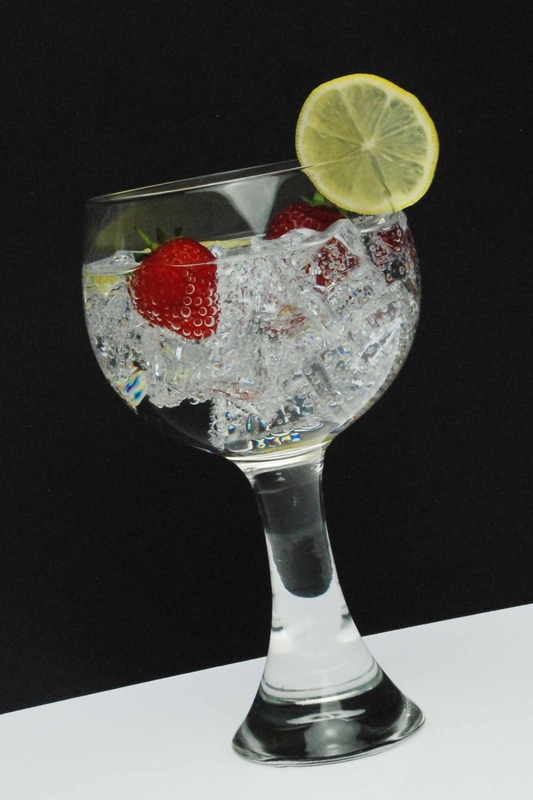 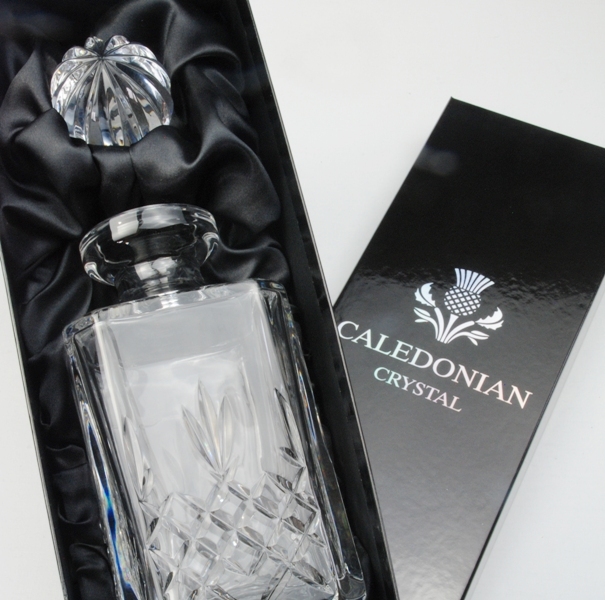 Manufactured by the world famous glass factory of Bohemia Crystal the decanter will hold up to 700ml and is 265mm in height. 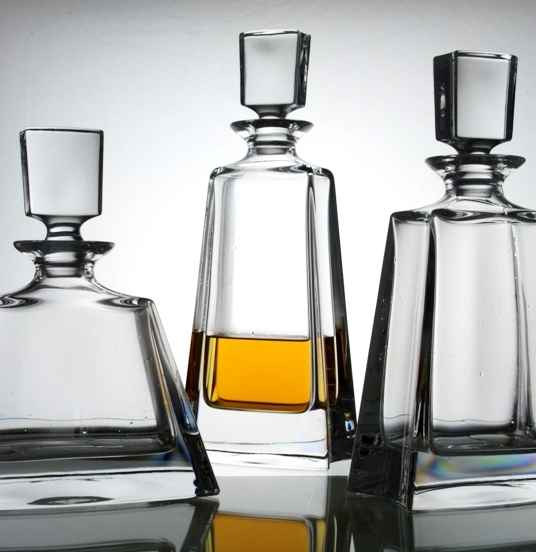 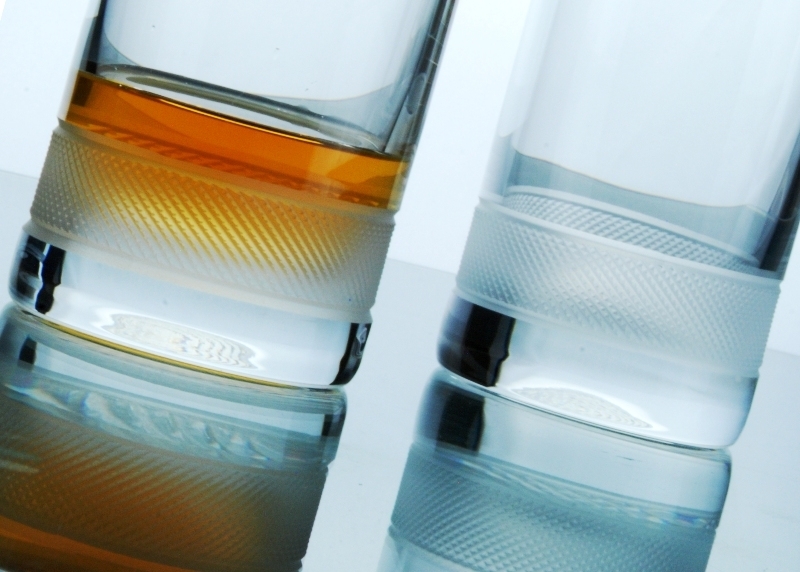 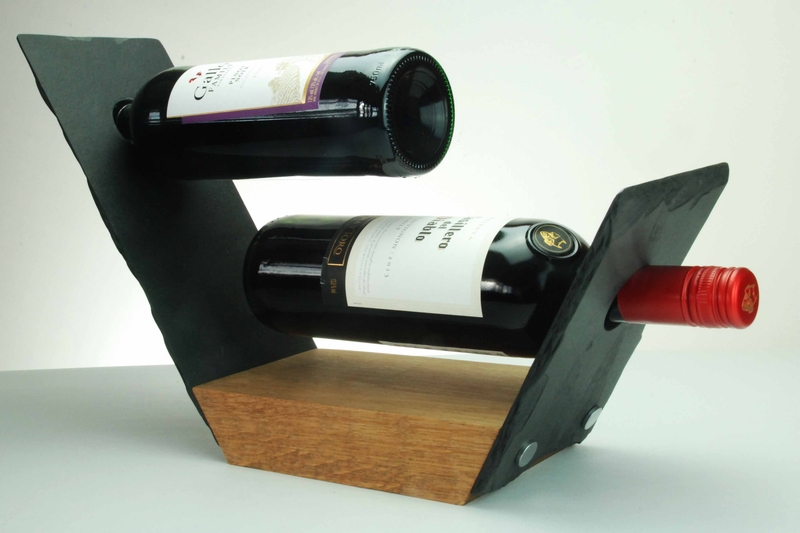 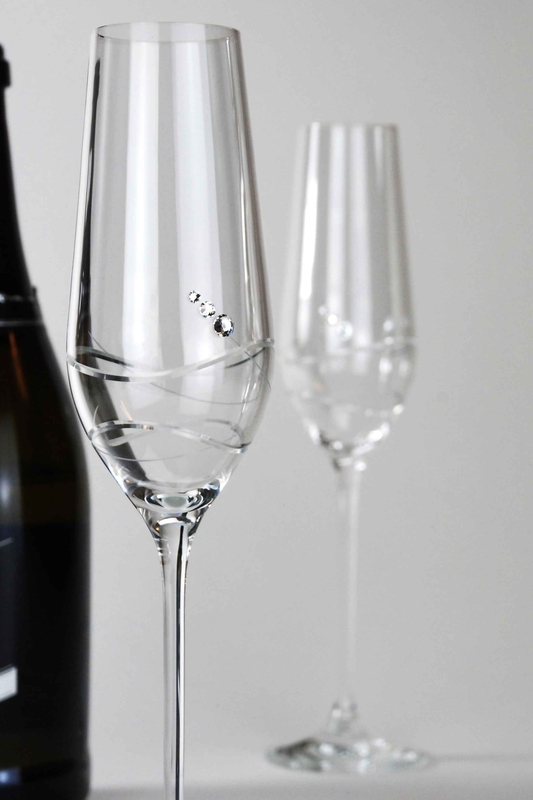 The front face of the decanter is approximately 150mm in diameter and 65mm deep. 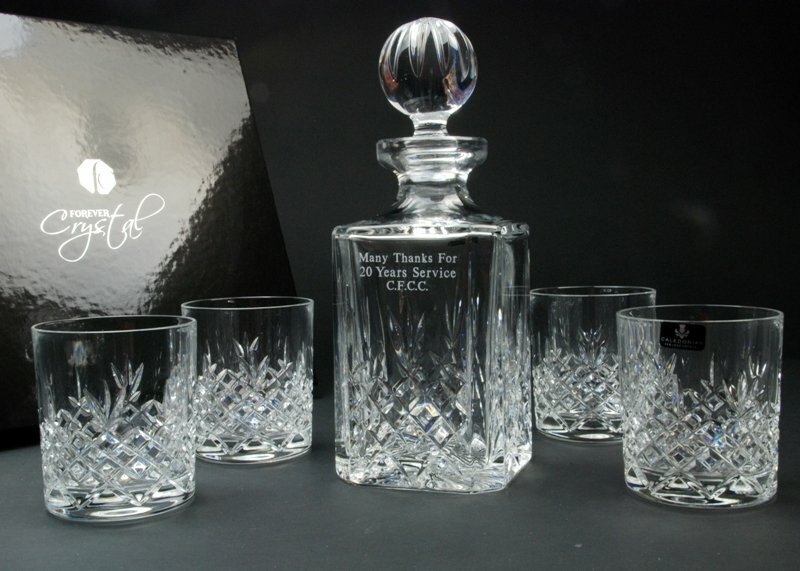 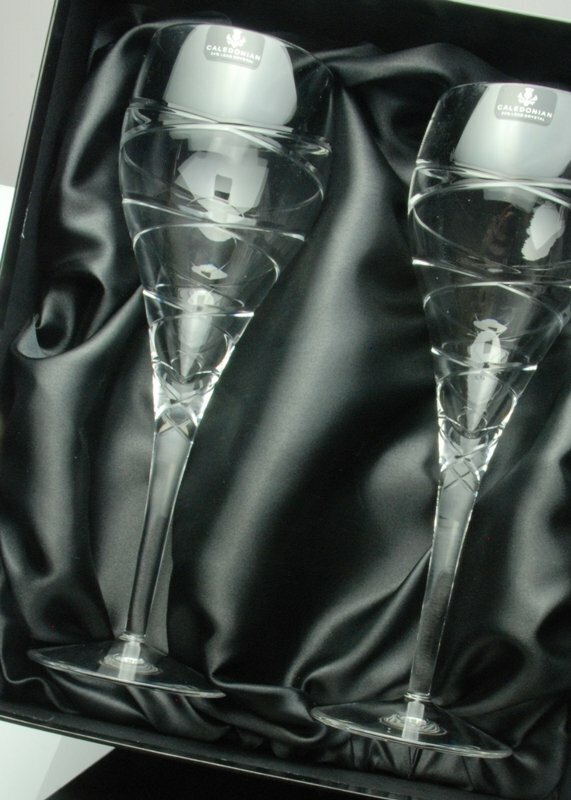 The Severn Decanter is handmade from 24% lead crystal and supplied in a luxury black stain lined presentation box making it ideal for a retirement or long service gift, an outstanding performance award, Father's Day, birthday or Christmas present. 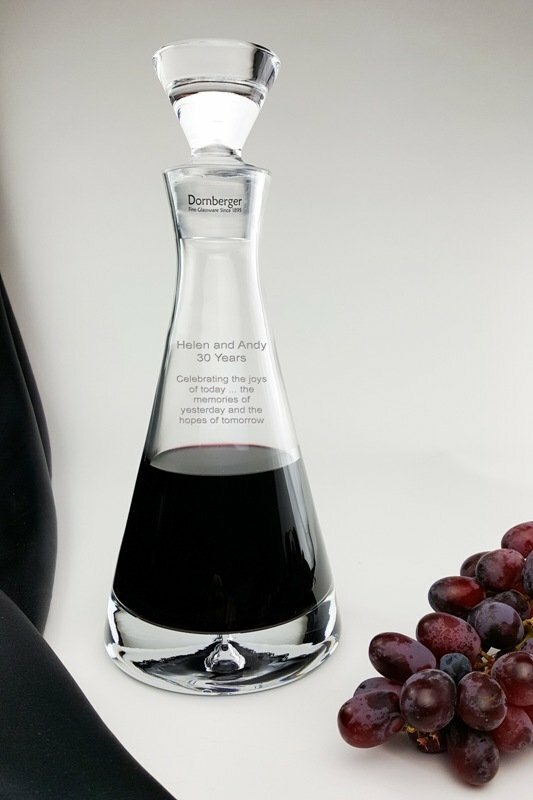 We will be pleased to engrave the decanter with a personal inscription of up to 4 lines and 24 characters per line (max). 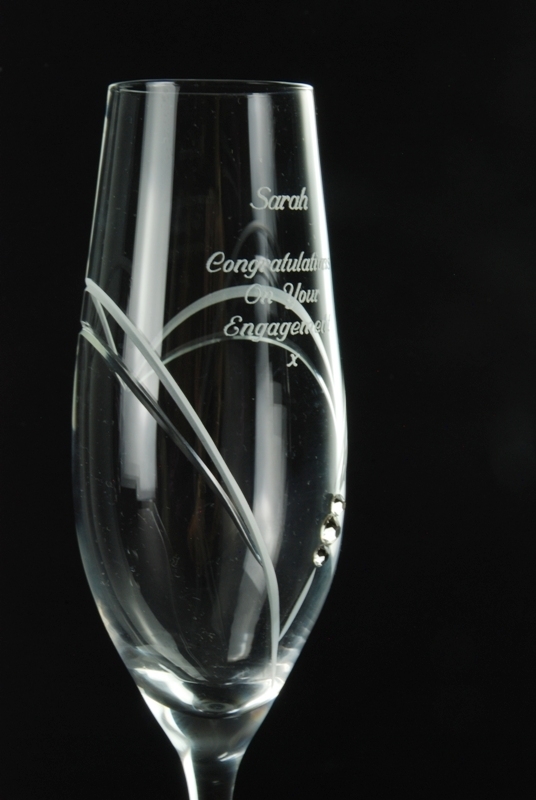 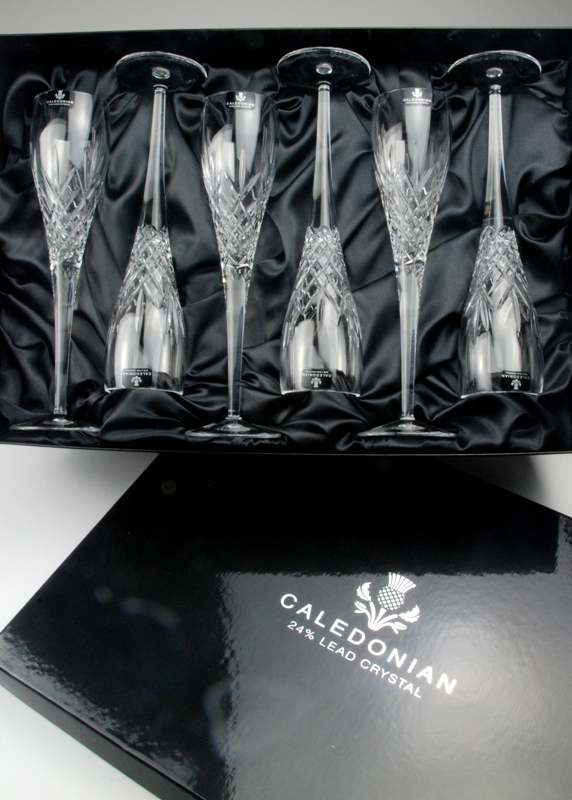 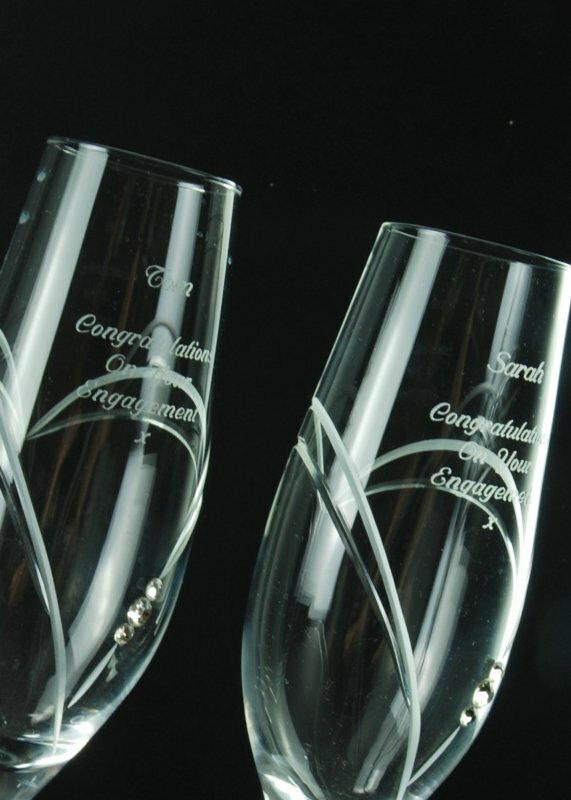 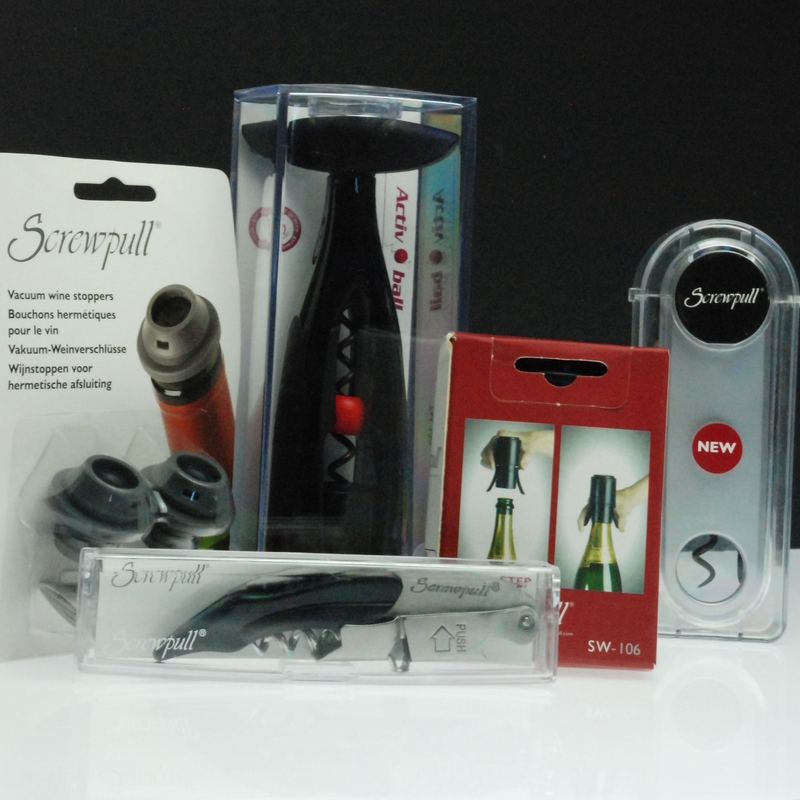 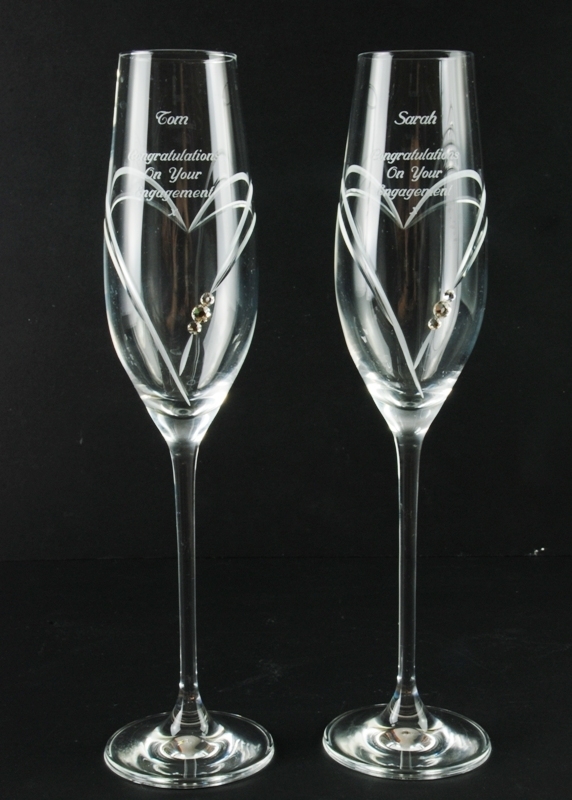 Generally we recommend a Script font for the engraving as this is stylish but not too fussy. 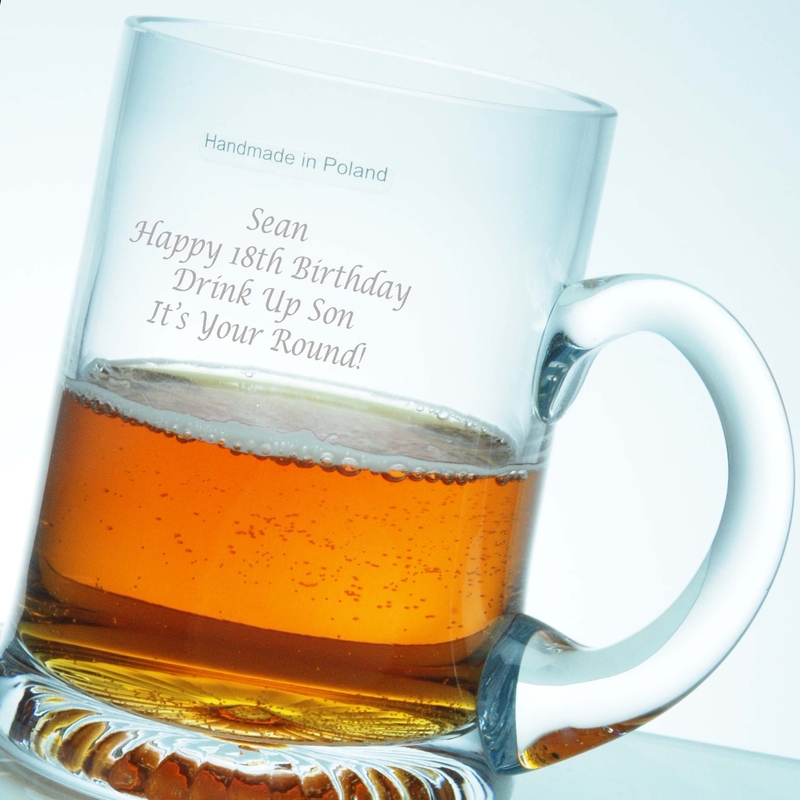 If your inscription contains consecutive capital letters e.g. 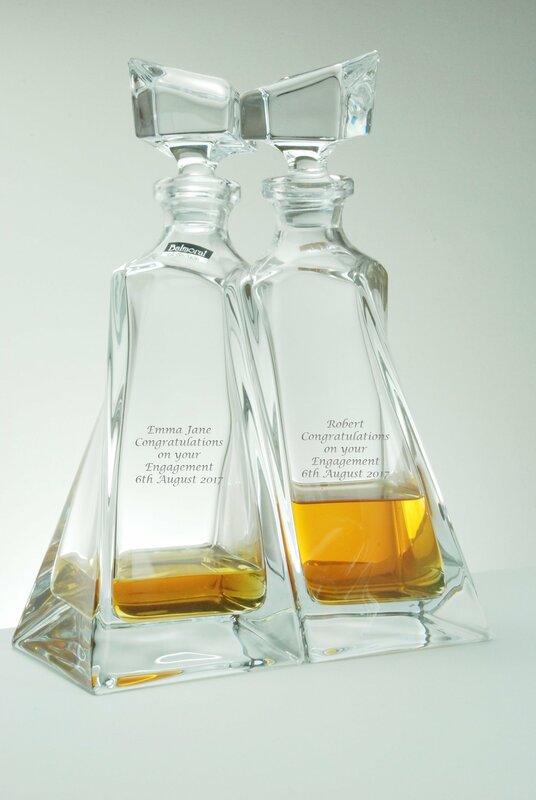 initials, then we recommend using a Roman font as the overall effect will be more pleasing.